Garlic survives bitterly cold winters underground (or grows frost-hardy leaves where winters are mild to moderate), grows rapidly when the weather warms in spring, and bulbs in summer. In the North, plant 4-6 weeks before the ground freezes. This gives the plant time to make good root development but not enough time to make leaf growth. Where winters are milder, garlic is planted from October through January. Where winters are so severe or snow cover so unreliable that garlic freezes out, soft-neck varieties are planted in spring. Garlic needs fertile soil with lots of organic matter so the soil remains light through the long growing season. Growers with clay soils should add a lot of compost before planting; those blessed with lighter soils having naturally loose texture need to add only small amounts of organic matter, or grow and till in green manures prior to planting. Break the bulb into individual cloves. Small cloves usually grow small bulbs, so plant only the larger ones. Use the small cloves in your kitchen. Where winter is mild, plant cloves 1 inch deep, root side down; where winter is severe, put them 2-4 inches deep and mulch lightly, immediately after planting. In spring, the garlic will have no trouble pushing through an inch of mulch. Minimum spacing on raised beds is 4×8 inches. To grow the largest bulbs, try spacing your plants 6×12 inches. After garlic has over wintered it must be kept well weeded. Do not damage the shallow roots when cultivating. Garlic needs to be moderately fertilized as soon as it begins growing in spring. Organic gardeners can side-dress a little chicken manure, cottonseed meal or strong compost. Garlic also likes high-nitrogen foliar fertilizer, sprayed every ten days to two weeks. Once bulbing begins, fertilizing is useless, maybe even harmful to getting the best quality bulbs. While the plant is rapidly growing, keep the soil most as you would for any other leafy green like lettuce or spinach. Hard-neck varieties put up a tall, woody flowering stalk that usually grows bulblets at the top. But if the plant is allowed to put its energy into these seeds, the bulb forming below the ground will end up smaller. So we cut seed stalks off as soon as the flower head has reached 8-9 inches tall. Gauging the right time to harvest is very important. Dug too soon, the skins won’t have formed around each clove. 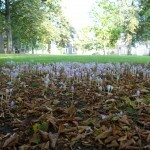 Hard-neck bulbs, if dug too late, may have begun to spread apart in the soil. Each year the timing is a little different so rather than watch the calendar, we observe the plants. As the bulbs mature the outer leaves turn brown. This indicates that the papery shell is forming. When there are still 5-6 green leaves remaining on the plant, we dig and examine a plant every few days to check the bulb. In very good garlic ground (very fluffy soil) the plants might be pulled by hand, but it is usually better to loosen the soil first with a spading fork. Immediately brush off the soil from around the roots, but do this gently. Drying is the essential part of curing the bulbs so do not wash them in water. Immediately move the newly dug garlic out of direct sunlight. Some growers tie the plants by their leaves or stalks in loose bundles of 8-12 plants and hang them under cover. Others spread the plants in single layers on screens, drying racks, or slatted shelves. Garlic stores longer if its is cured with its stalk or leaves attached. Good air circulation is absolutely essential. 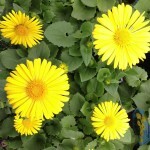 The plants should cure from 3 weeks to 2 months, depending on the humidity and amount of air circulation. Some growers use a fan in the curing shed. After curing, you may trim the roots. 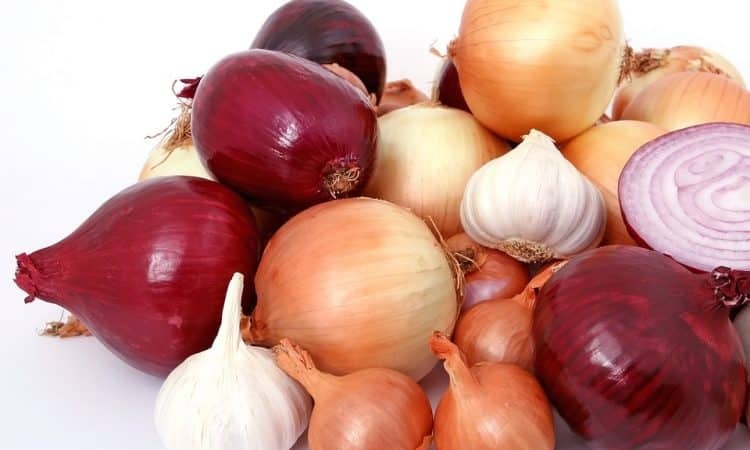 If the garlic is to be kept in sacks, cut the stalks off 1/2-inch above the bulb and gently clean the bulbs with a soft bristle brush, taking care not to strip off the papery skin. Hang bulbs in netted sacks, with good air circulation on all sides. Or, hang the dried bunches, or make and hang braids of the soft-neck types. Perfect storage conditions are 45-55°F. at 50% Relative Humidity. Storage below 40°F. actually makes garlic sprout.